This Christmas doormat is a great Christmas decor. Welcome friends and family to your home. 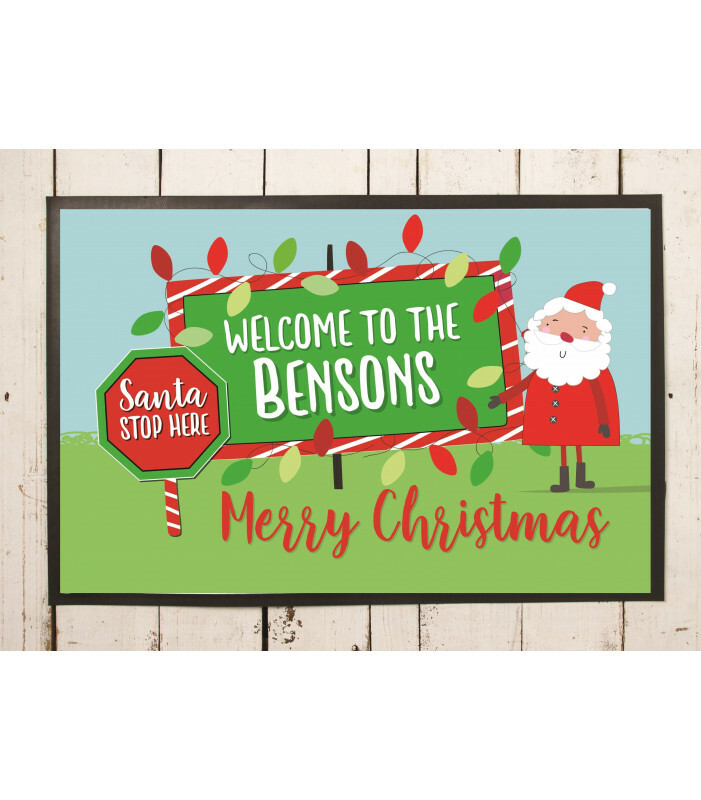 This Christmas doormat can be personalised with your family name and would extend a warm and festive welcome to your visitors throughout the festive season. The mat is suitable for indoor and outdoor decor use, and features a polyester surface with a non-slip backing. Measures: 60cm x 90 cm. This Christmas doormat is a great Christmas decor. Welcome friends and family to your home. 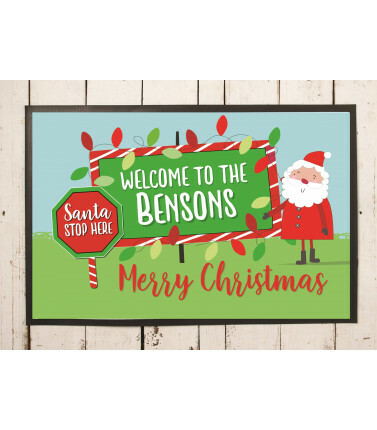 This Christmas doormat can be personalised with your family name and would extend a warm and festive welcome to your visitors throughout the festive season. The mat is suitable for indoor and outdoor use, and features a polyester surface with a non-slip backing.